A free U.S. Department of Education TRIO program designed to help eligible U.S. military veterans enter and succeed in the postsecondary school of their choosing. Military Finances: Personal Money Management for Service Members, Veterans, and their Families. A free government information and resource program to help soldiers and their families. Mental health, financial, educational and other information for military families. Family & Caregiver Support: Learn about programs to support families of Service Members and Veterans, and how to access emotional, financial and community assistance. Go to: https://nrd.gov/, then click on Family & Caregiver Support button. Information on family resources for couples, individuals and children (Facebook). News and support information for military families. Financial basics for new and current servicemembers. 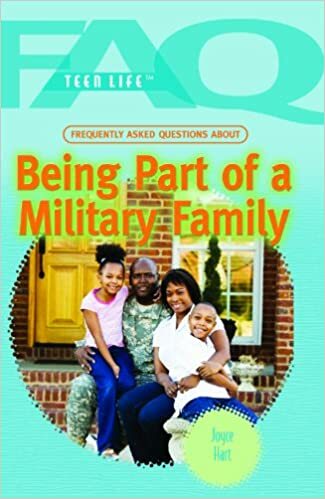 Search our Catalog by Subject for: Families of military personnel and Children of military personnel. A Military Kid's Book About Deployment. Addresses the emotional needs of children during the deployment period. Scroll down to section on Kids & Deployment. "Sesame created Talk, Listen, Connect (T.L.C. ), a multiphase educational outreach initiative designed to help kids through deployments and homecomings, combat-related injuries, and the death of a parent or loved one." A Hands-on Guide for Deployed Dads. (with DVD) Reuniting Military Families Following Deployment. A Resource Guide for Returning Veterans. The Essential Job Search Handbook for Service Members. Helps returning soldiers and their families with behavioral health programs. The Essential Guide to Getting the Veteran's Benefits You've Earned. Find information on military and VA benefits, military pay, disability compensation, insurance, Social Security benefits and more. Information about VA loans for home buying. Include a lenders comparison tool. VALoans.com is not affiliated with or endorsed by the Department of Veterans Affairs or any government agency. Veteran Services: provides job seeker services for veterans, transitioning service members, and eligible spouses. Offers a one-stop online employment services website, veterans.gov, with links to job centers around the country, career-path exploration, approved local training programs, colleges and universities, listings for federal jobs; as well as advice on how to start a business, and guidance for employers looking to hire veterans.